In this book the author recounts her father's experiences during the Second World. Manchester-born Duncan Freeman joined the Royal Air Force in 1942 and he trained as a Wireless Operator-Air Gunner (WOp/AG), eventually joining 50 Squadron, 5 Group, Bomber Command, based at RAF Skellingthorpe, Lincs as a member of an operational Lancaster Bomber aircrew. 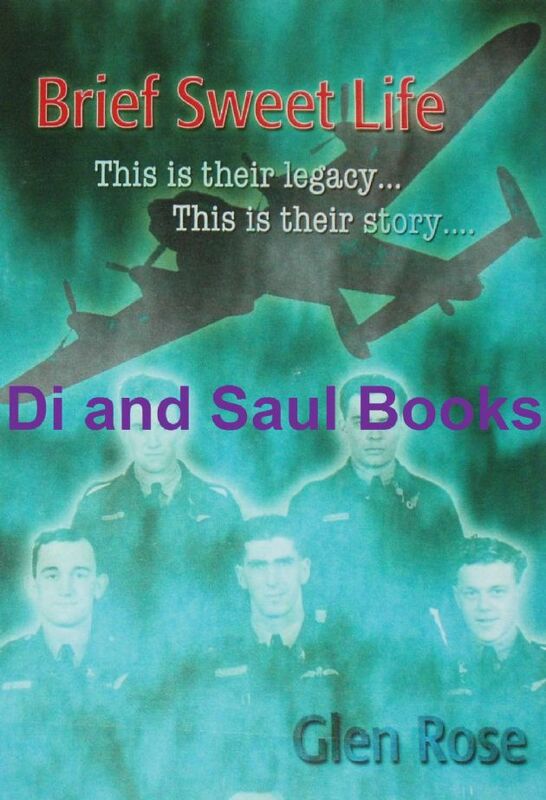 Duncan always flew with the same crew and the nerve-wracking experiences they endured together over enemy territory, facing death night after night, depending on each other's skills for their mutual survival, caused them to develop an intense close of bond of friendship. Part way through their tour of operations, Duncan became seriously ill with pneumonia and was hospitalised. The very next night (22nd May 1944), his crew took off on an operation with a stand-in WOp/AG, but it was a mission from which they would never return. After an abortive raid on Brunswick, called off due to cloud cover, they were caught by a German Messerschmitt over the Dutch coast, who shot them down, and the entire crew of Lancaster LL744 was killed. Duncan was devastated at the loss of his brothers-in-arms and for a while lost the will to live, guilt-ridden at having survived when they had all perished, but eventually he realised that the best way he could honour his lost friends was to get the most out of life he possibly could - and never forget them. This is exactly what he did and this book, written with the help of his daughter Glen, tells his story, and the story of his long lost aircrew colleagues.